"Chemises" belonged to the category of simple and comfortable dress which was in vogue from about 1781 overall due to Marie Antoinette. 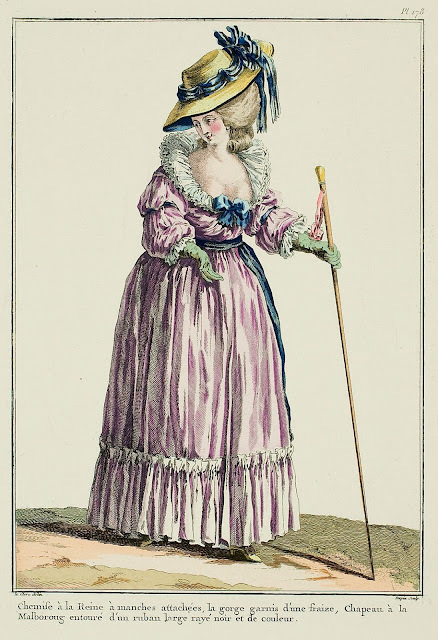 At the time, one said that an upper-body garment was made en chemise when "the beginning of the sleeves ended in two pieces which were added" (Dictionary of the abbé Jaubert, 1778). 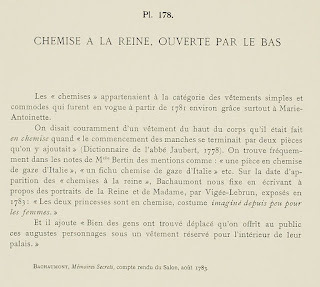 One frequently finds in the notes of Mlle Bertin mentions such as "a piece en chemise of Italian gauze", "a fichu-chemise* of Italian gauze", etc. 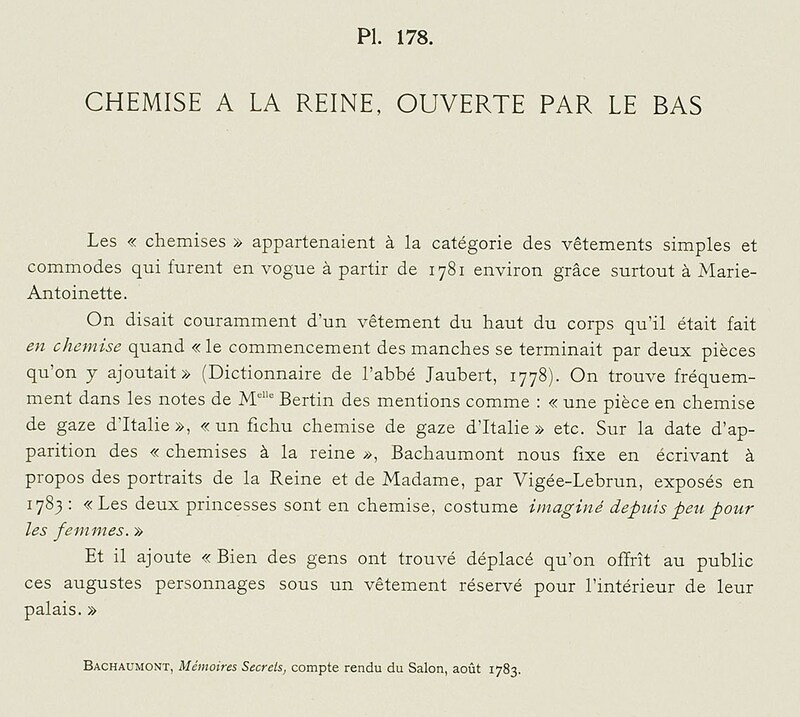 On the date of the appearance of the "chemises à la reine", Bachaumont fixes it for us in writing about the portraits of the Queen and Madame, by Vigée-Lebrun, shown in 1783: "The two princesses are en chemise, a costume invented recently for women." And he added, "Many people have found it inappropriate that these august personages are offered to the public in a garment reserved for the interior of their palace."